I got home from work today to discover a box from Jim Dunlop had just been delivered by the postman. Thanks to Brandon at Jim Dunlop I have a brand new MXR Noise Clamp pedal, and a bag of sweet new Ultex Jazz III 2.0 picks to review. Both of these products were released earlier this year at the 2011 Winter NAMM show. 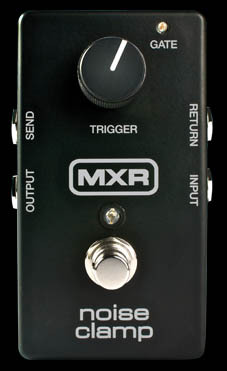 I previously reviewed the MXR Smart Gate, and found it to be an excellent noise gate. It was only capable of being in front of the amp, or in the effects loop. The new Noise Clamp can cover both options, giving you full noise gate functionality from just one pedal. I’m looking forward to trying this out in my rig when I next jam with my band. It should prove to be the perfect addition to my pedalboard. My favourite pick thickness has been 2.0mm for many years now, and my favourite tip has been the sharp one found on Jazz IIIs and Jazz III XLs. 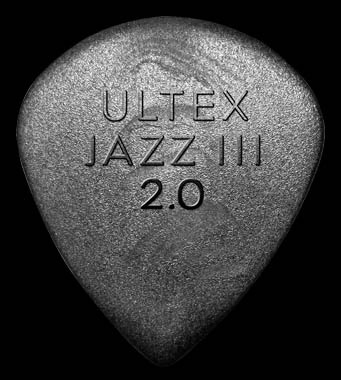 Ultex has been a favourite material of mine since playing the Hetfield Black Fang picks. I have a feeling the Jazz III 2.0s might just be the perfect pick for me. I can’t wait to dig in with these new Ultex Jazz III 2.0s and see how they feel and sound. Keep an eye on on this blog for reviews coming soon.